New Orleans Mayor Mitchell Landrieu doesn’t want much from his administration during his second term. He says he has a single goal: To get black boys to stop shooting each other. He doesn’t want you to water that message down. He doesn’t want you to broaden it. He wants to make his city safe for the demographic that’s most likely to be the victims, and the perpetrators, of violence. He’s talked with them and asked them why so many believe they won’t reach their 22nd birthday — and why they say they don’t care if that prediction becomes reality. Landrieu’s presentation was ostensibly about NOLA for Life, the mayor’s comprehensive murder reduction program. But his conversation with public health leaders really focused on the epidemic of black youth violence in America — and the lack of urgency the public and national government seem to have in ending a culture of violence. Through NOLA for Life, New Orleans has taken a multi-pronged approach to violence reduction. Law enforcement plays a big part, as 100 gang members have been indicted in a multi-jurisdictional effort to curb violence in neighborhoods. But it goes beyond that, said session presenter Howard Spivak, director of the Centers for Disease Control and Prevention Injury Center’s Division of Violence Prevention. In the last 30 years, violence prevention has moved from a punitive framework to a preventive one. And that means offering social services and reaching young men before they fall into violence. In New Orleans, a big portion of that is employment opportunities. The city has a 52 percent unemployment rate among black men, but NOLA for Life’s Pathways to Prosperity has trained 1,000 young men for jobs, has gotten 300 hired through the program, and partners with Tulane University and Louisiana State University to encourage the area’s biggest employers to reach out to this huge potential workforce. Another large component is community engagement. Landrieu said he has seen midnight basketball games, coupled with big-name speakers, garner interest and encourage investment in neighborhoods and communities. And other panelists agreed. Charles Branas, professor of epidemiology at the University of Pennsylvania, says that in his own Philadelphia neighborhood, he has seen how vacant lots turned to green spaces reduce gun violence in the area. “Once you clean these spaces, people take an interest in them. They tend to become invested,” he said. Beatriz Solís, director of health communities for the California Endowment, said it’s not surprising that by engaging with disenfranchised communities, they become safer and more involved in maintaining that safety. 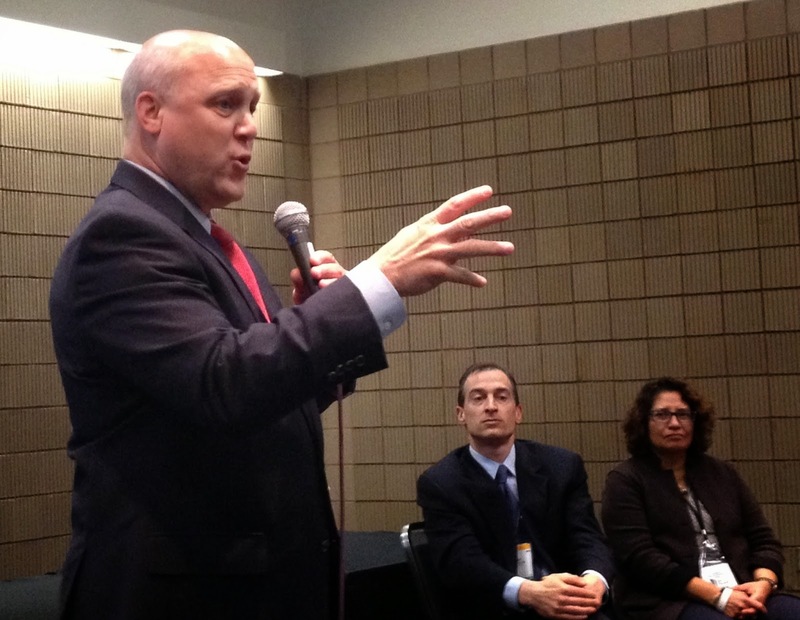 In New Orleans, Landrieu says there’s still a lot of work to do. But it’s already paying off, he says: the current city murder rate is the lowest it’s been since 1970.